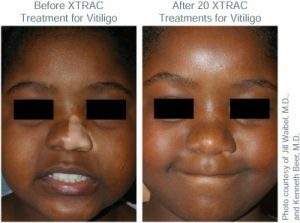 XTRAC treatments can minimize and, in many cases, even eliminate Vitligo depigmented patches. 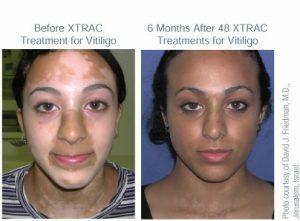 The XTRAC excimer laser delivers a targeted beam of UVB light and only the areas of skin affected by Vitiligo receive the laser energy. Watch this video to learn more about XTRAC!